Today, while working at LA Creative (the sister company to my college just attended), we had a bridal party come in to get their hair and makeup done for the wedding. 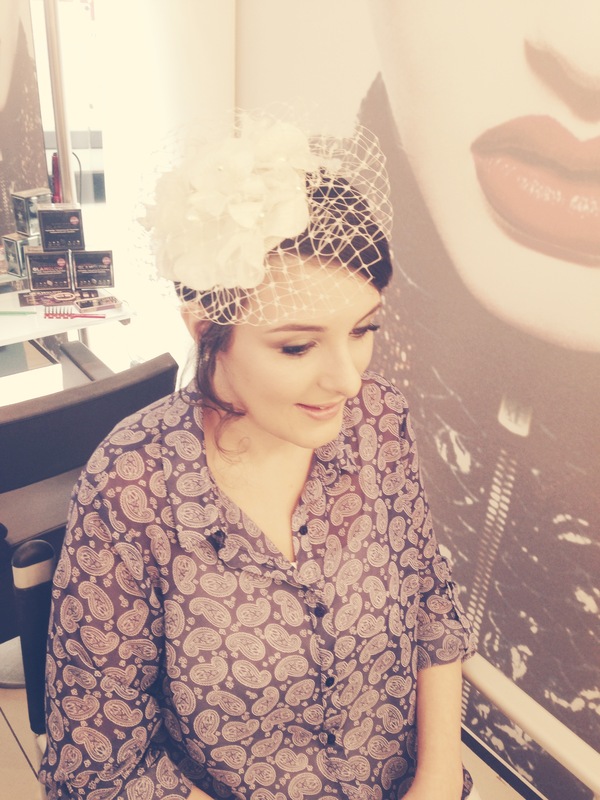 Lucky for me, the bride Vicky was my client and she could not have been more of a pleasure to work with! I’d watched plenty of ‘Bridezillas’ back in the day so I was a little nervous when I first started getting into Bridal Makeup but I have to say it is one of the most rewarding jobs in the Makeup industry. As a Makeup Artist you really have to become friends with your client in the first five seconds of knowing each other, you have to be open and honest, know whether they’re the chatty type or want to relax and make them feel comfortable, after all, you are working on their face which is pretty up close and personal. The bride Vicky made it very easy for me as she was super relaxed given her wedding was in the afternoon! Her bridal party consisted of her mother and four bridesmaids. The hair was done by Ethan and Nikita who also work in the store and the Makeup on the bridesmaids was done by Rachel, with myself also doing the Mother of the Bride. There’s a lot to keep in mind for a Bridal Makeup besides the look itself. You need to ensure the longevity of the look and also the amount of SPF in the products (SPF reflects light and creates ‘flashback’ when taking photos making the area look paler than it is or even white). I believe 0 SPF is best, but generally products up to SPF 15 are okay. 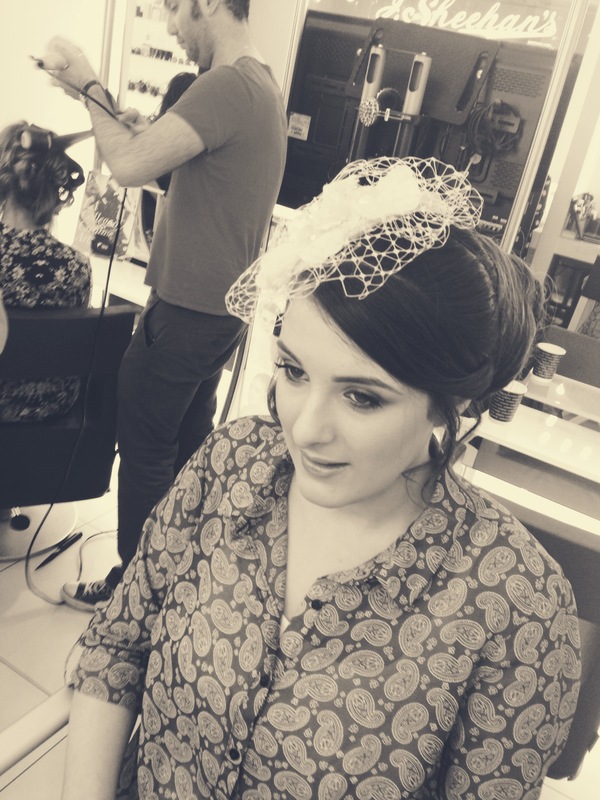 Vicky’s look was simple and glamorous, and one thing her soon-to-be husband made her promise was no big, false lashes! Instead we went for a few on the outer edges to add some volume as they were fairly long already! A few pictures of her are below and taken in the store LA Creative! One of my favourite work experiences with LA College of Creative Arts was the opportunity to work alongside tutor Aidan Corcoran and fellow student Karen Glynn on the College’s Discovery Day. The event was held for current and upcoming students to find out about the college and all it has to offer. We on the other hand were there to demonstrate some skills! We spent around 7 hours on the day body painting our model Nathan. It was so much fun and our model was a great sport considering he had to stand still for so long! Aidan designed the look, going for a statue-esque base, blanking out the entire body with white, then going in with grays and blacks to contour the natural shapes of the body. 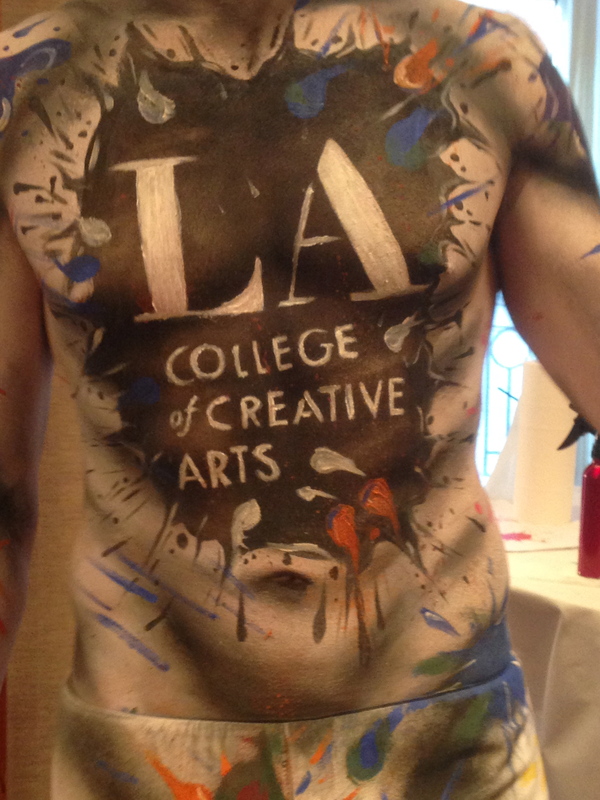 We then placed LA College’s logo in the middle of the torso and made it to look like a paint splash! To add some colour, we coated the rest of the body in coloured paint splashes. It was an incredible day and the college had a great turnout! The SFX crew also had a demo along with some of our great tutors to demonstrate all of the skills that can be gained here at LA! Below is our finished product! A Facebook notification pops up on my phone and to my surprise it is from my mentor Marie-Therese Byrne. It shows a screenshot of a previous post where I wrote about a makeup she did and how she couldn’t believe she had only just come across it. Someones still reading my blog? Let alone going back a few posts? My poor blog, I got so caught up in other things that I had completely abandoned it! Luckily MT is around, she may have just been the little motivation I needed to get back into it! As I recap on the year that was, I remember all the fun moments, the silly times, the hard work, the amazing experiences and all that I have learnt whilst being at LA College of Creative Arts. It truly was the year of a lifetime and moving away from home to come here and experience it was the best decision I have ever made. So much has happened since then so I figure I’ll stick to some highlights for this post! First would be the two publications I’ve added to my portfolio! One for Stellar Magazine and one for the newly released Insider Mag. For the Stellar Magazine I worked alongside fellow LA Student Megan Burke where we provided Hair & Makeup for 6 mums for a special article. For the Insider Magazine I assisted Beauty Editor Nadia El Ferdaoussi with Makeup for the male model and hairstyling. I will jump at any chance for published work! The contacts you make and knowing that so many people are looking at something that you did is such a great feeling and so worth the long days on set. 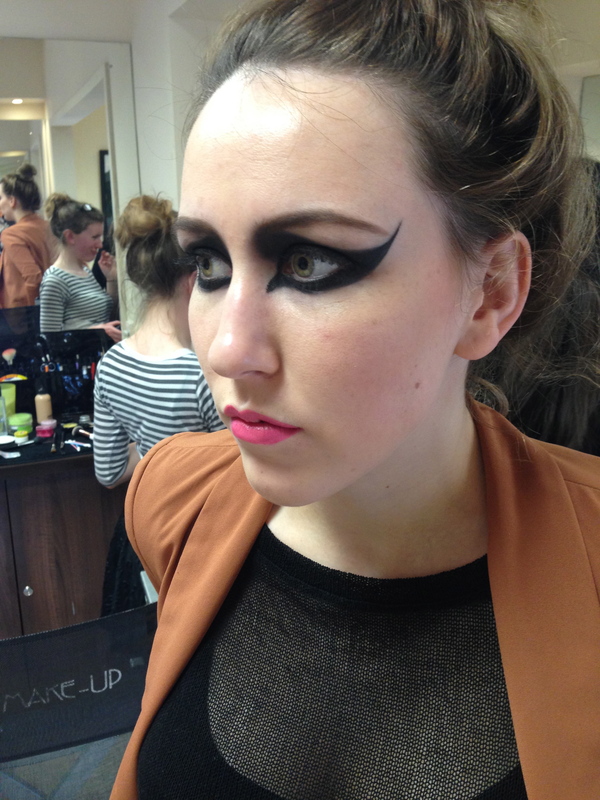 A few other highlights included being involved with both the UCD and Trinity college fashion shows! LA College provides hair and makeup for both and it is so fun seeing all the hard work come to an amazing show at the end of the day! I was also able to work for a corporate box at the One Direction concert in Croke Park meaning I got a wee glimpse of the show! We also had a few more photoshoots within the college before graduation. They are shown below! Images from a Character Photoshoot (Galaxy and Half’n’half). Model:Tessa Muldoon. The following images were from a Beauty photoshoot. 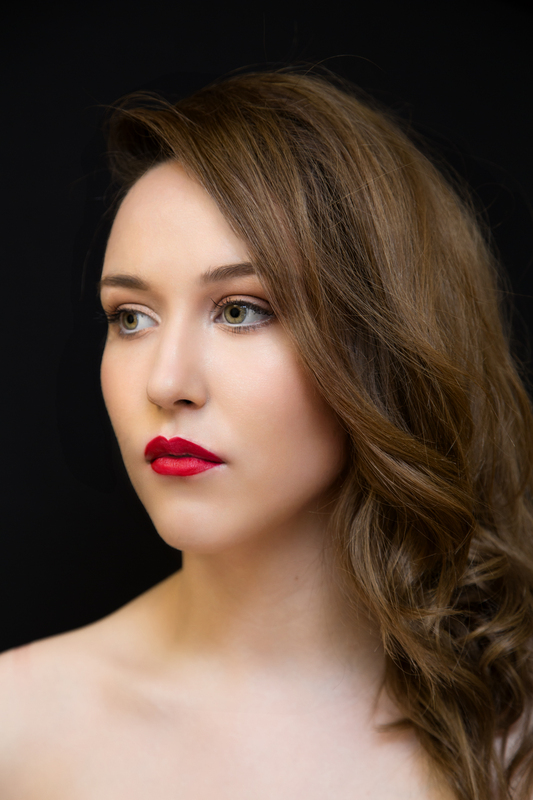 Model: Clodagh Power. There were many more exciting things crammed into the past few months with one of the biggest being our Graduation! However for the sake of this post being too lengthy, I think we shall save that for another day! Now that my days as a student at LA College of Creative Arts are over and I go on to working as a Summer Intern for them over the next three months, the style of my blog may change as my skills and knowledge within the industry progress! Expect a few reviews, recommendations, looks with product lists etc as well as my usual recapping which Mum and Dad along with others back home tend to find helpful in keeping up to date with me over this side of the world! The Saturday after finishing Fantasy Makeup, I was privileged to help out on a weekend shoot for other LA College classes doing smaller courses. Because their classes are smaller, they do not focus on hair and that’s where me and some of my friends came in! They were doing natural makeup and bridal photoshoots and trusted us with their lovely models to create some gorgeous hairstyles. It is so important at this time in the industry that Makeup Artists know how to style hair, even if it’s only the basics. So many jobs now are searching for Makeup and Hair artists as opposed for one of each, obviously saving money for them, and having a greater knowledge of hair really advantages us. The photoshoot was run by Adrienne Kennedy Campion, whom tutors these classes. It is a privilege to work alongside her as she is very motivating and an incredible MUA herself. 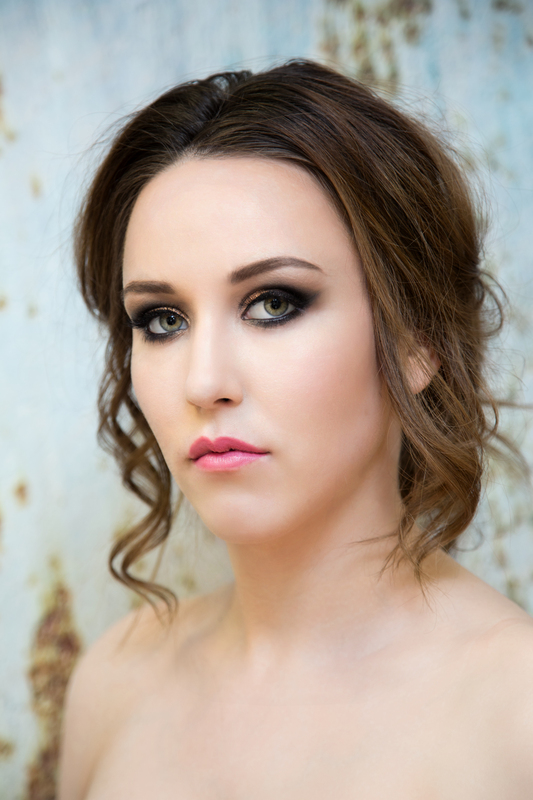 After the photoshoot we also walk away with the final, edited images to use in our portfolio, proving we can do hair! It’s a real win-win situation! The next week, brought us back to college where we learnt about Asian and Ethnic skin and did a skills test. I had a lovely model named Alexa who came in for me and I was incredibly happy with the end result of her makeover! She had the most beautiful lips, and I think the colours used looked stunning on her. 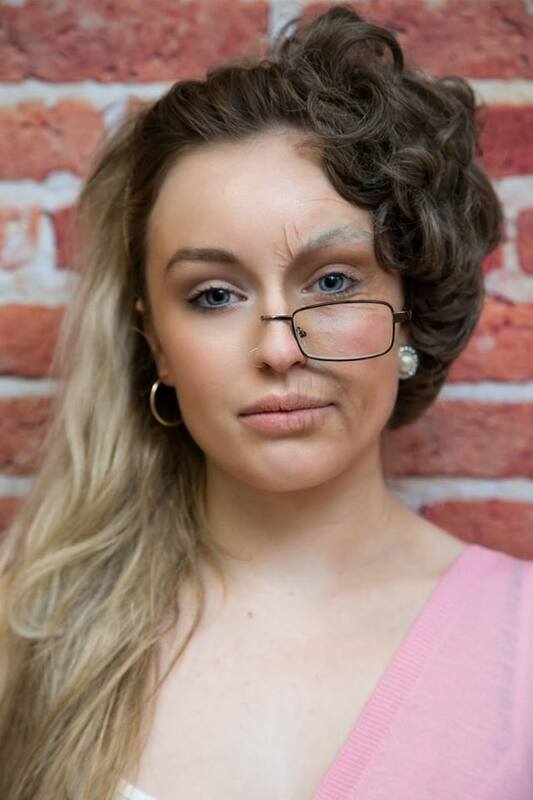 For the skills test, our tutor Louise Dunne had a photo of Val Garland’s makeup and got us to recreate it under time pressure. It was definitely as hard as it looked!! My Makeover on the gorgeous Alexa! The Val Garland image pictured above and my recreation pictured below! Much to improve on but giving the circumstances I’m pretty proud of the outcome! Next on the Agenda was airbrushing…and a lot of it! Airbrushing is an interesting technique, I’m not sure that I particularly like it for foundation application. I definitely think I’m one for having more control and I feel I can’t achieve that with a gun, but more so with a brush. Giving that, I did have an incredible amount of fun when we were allowed to do more wacky and crazy looks! I chose to do a graffiti inspired one. I was happy with the look but I did have a lot more planned for it, unfortunately airbrush guns like to become clogged…A LOT, so I spent most of my allocated time, taking apart, cleaning and reassembling! The look is pictured below on my model, Jen O’Connor – whom might I add is incredibly patient and helpful when cleaning the guns!! 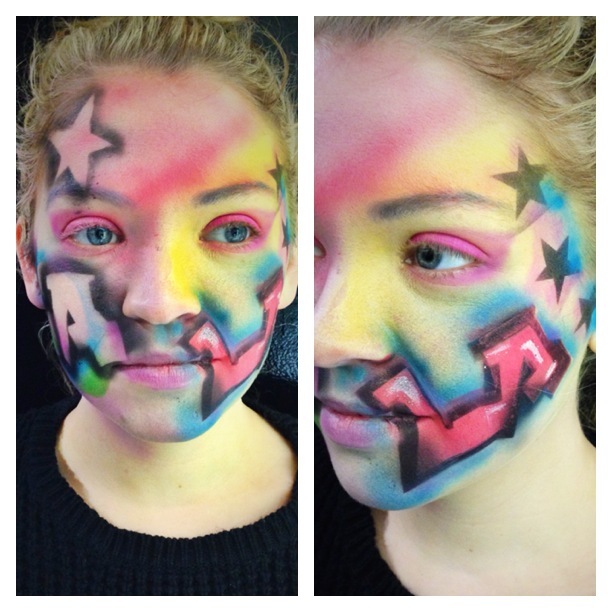 During our airbrushing week, I was also offered the chance for some work experience and I was more than delighted to hear that it was for none other than Stellar magazine! Myself and Megan Burke made our way down to 9 Bond Street Studios – an amazing building full of studios owned by renowned photographer Barry McCall – where we set up our stations in the salon and got to work on six young mums, getting their makeup and hair done for their shoot. Not to mention, all the children were there too! It was an interesting day, filled with cute kids and also a lot of glam! 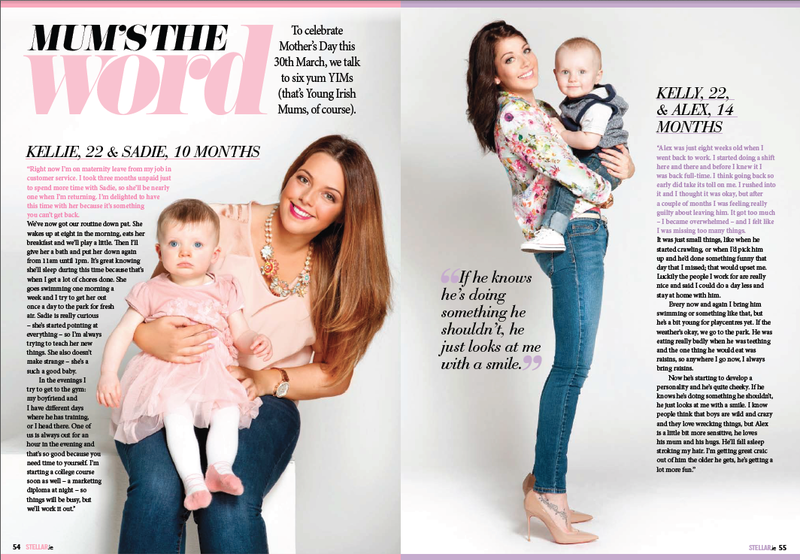 The shoot is for a spread on young mums and will feature in the upcoming issue, being released this week. I am so excited to see my work published in such a well-known Irish Mag and it was such a great experience working in different circumstances! I.e. dodging the child sitting on mum’s lap and having them throw our makeup on the ground – so cute though, can’t stay mad at their wee faces! I look forward to sharing the shots with you when I receive them! Next up we did some body painting – Nothing too big or full on. Just a few pictures and illustrations here and there to get a knack for using the paints etc – if you click on my instagram feed to the right of the page you will be able to see some images of my work there. 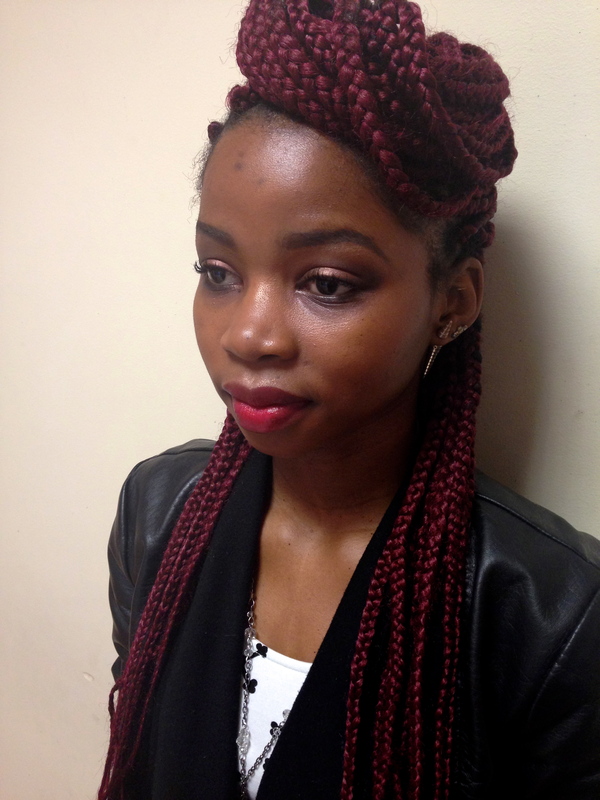 Amongst all the college work – I also earned myself a new job working at Zeba Hairdressing in their Makeup department. I am incredibly excited to be working in an environment where I get to practice my skills and converse with clients several times throughout the day and am ever so blessed to have this job! Another step closer to my goals! Every work experience is good experience! To end our Fantasy Makeup module, my class, LA Elite, prepared one last look. My look was inspired by none other than a Dragon! I tossed and turned for ages trying to think of something to interpret when I thought of the Taniwha. Taniwha’s are a mythical creature of Maori culture, and are basically dragon like beings. This led me on to researching dragons and dragon makeups and coming up with my very own look! If you search Taniwha’s and New Zealand, you should be able to find some interesting information on them- there’s also a cute, wee Taniwha song – kind of like a nursery rhyme – that all the kids used to sing when we were younger. 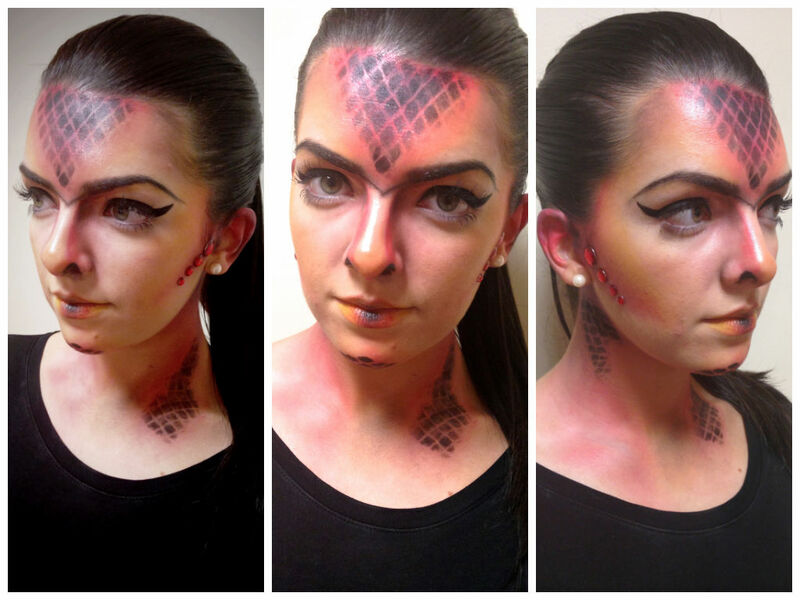 My dragon look was very simple, just using water-based Face Paints and eyeshadow to create. The scales were made by using a mesh bag which I bought lemons in, then holding it over the skin and pressing over it with eyeshadow. I also gave my model, Elena Costello, little dragon nostrils and a wee dragony frown line with a kohl pencil in black from the Bodyshop and that was basically it! I like that although it is fantasy makeup, it still is beauty makeup and Elena still looks as lovely as ever- despite being a dragon and looking like she has a unibrow! 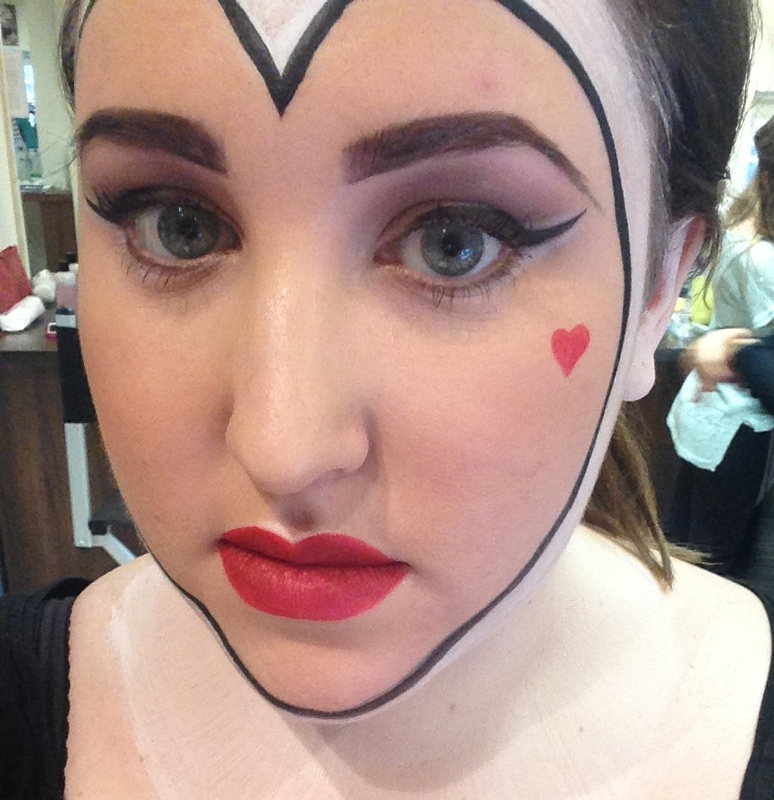 My dragon look is below and below that is the Queen of Hearts look that Elena did on me – just to give you a peek! Fantasy Makeup – a way to produce makeups portraying mythical and/or majestical creatures or things. 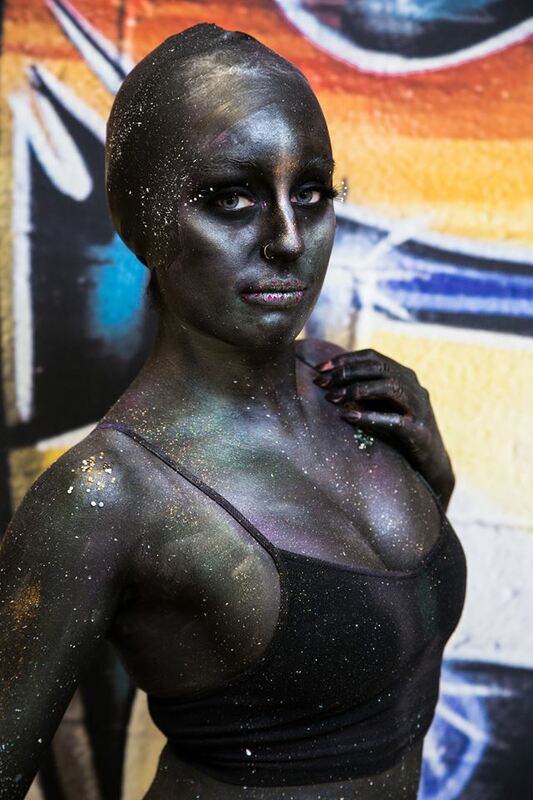 Fantasy Makeup allows you to transform yourself into anything you can think of. It doesn’t have to be a full face of makeup – it could be the simplest of things – but we’re in Makeup college and we all love being creative and having fun so why not! To begin the look, I blocked out the eyebrows with the use of Prozade (an adhesive glue used for Special Effects) and Special Effects Wax. This wasn’t a necessary step however I had the time so threw the practice in. I then layered a salmon coloured cream concealer with a concealer that matched Leah’s skin tone, making sure to apply translucent powder between each layer and voila, the eyebrows disappeared! 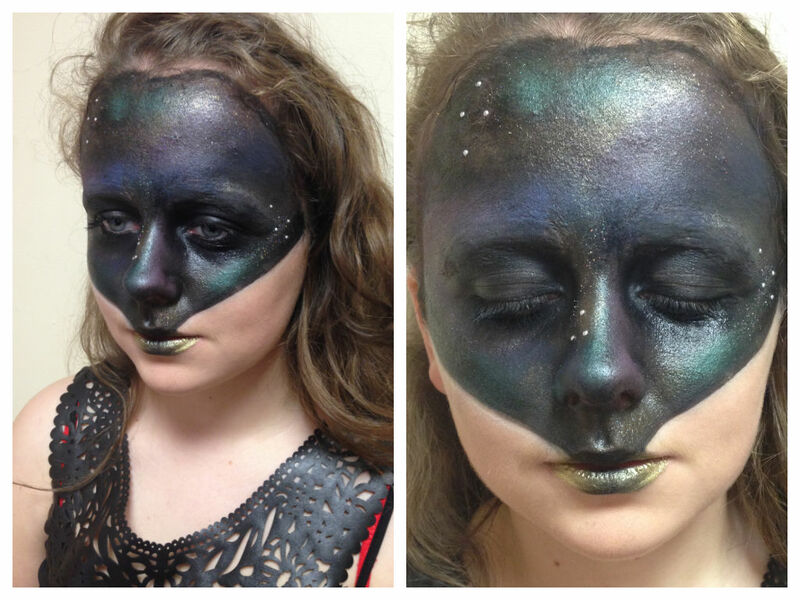 I then used a Supercolour from Kryolan in black to create and fill in the upside-down triangle shape. Then just using highly pigmented eyeshadows in my chosen colours, I distributed random amounts of colours throughout the black. I then added some fun glitter and small diamantes before colouring in the lips with a gold and glittery Supercolour form Kryolan. It’s an incredibly easy look to create and can be done very quickly if need be although I think the result is quite effective and I’m very happy with todays look! 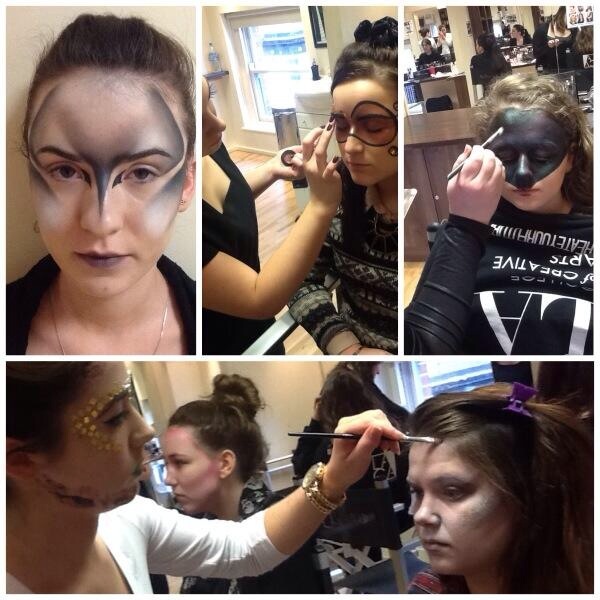 The photo below is courtesy of Marie-Therese Byrne and shows some of us in action!